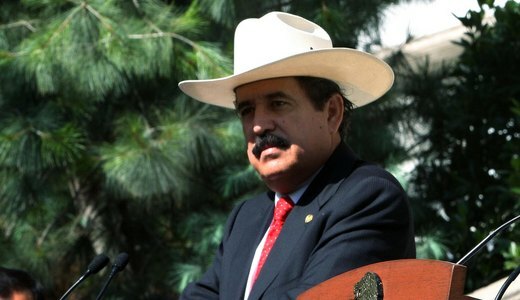 June 1, 2011	12:03 PM CDT By W. T. Whitney Jr.
Former President Juan Manuel Zelaya, who was removed by a June 2009 military coup, returned May 28 to Honduras from exile in the Dominican Republic. Former first lady Xiomara Castro de Zelaya read the “agreement of reconciliation” signed by Zelaya and current Honduran President Porfirio Lobo a week earlier. Afterwards, at the government palace, President Lobo received Zelaya, his family, representatives of eight Latin American nations, and José Miguel Insulza, secretary general of the Organization of American States (OAS). At a meeting in Cartagena, Colombia, on April 9, Presidents Hugo Chavez of Venezuela and Juan Manual Santos of Colombia had conferred with President Lobo and, by telephone, with ex-President Zelaya. 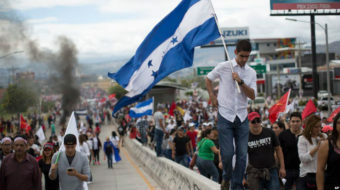 Plans were laid for Zelaya and 200 other exiles to return to Honduras in exchange for the OAS restoring the nation to full membership. Speaking to reporters, Chavez called for “peace and democracy in Honduras” and “a great zone of peace” in Latin America. A week later, Zelaya and other FNRP leaders met with Chavez in Caracas. In a press conference, four key FNRP demands, which would become the basis for an agreement signed in Cartagena on May 22, were articulated. In Cartagena, Lobo and Zelaya signed a document under which Honduras would rejoin multilateral organizations, specifically the OAS, which had expelled Honduras after the coup. In exchange, Honduras would solve its political crisis by implementing the four demands. In response, the FNRP complained of gaps in dealing with human rights abuses. 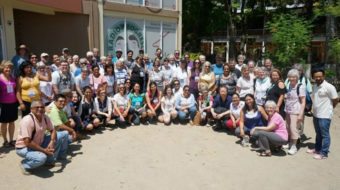 Political Committee member Esly Banegas pointed out that, “Persecution, repression, murders, total impunity continue.” There is the additional difficulty of the FNRP National Assembly in February having decided to shun elections until a new election law was in place and a Constituent Assembly convoked. 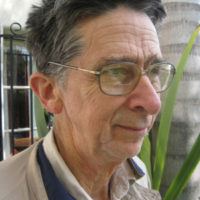 Analyst Ollantay Itzamna, attempting to explain the turnabout of a right wing, oppressive Honduran government, cited severe economic distress affecting the government and Honduran society. International aid closed down after the coup. The United States, alleging regime corruption, cut $200 million in aid for 2011. Now, OAS reincorporation portends access to $600 million in aid funds. And, Itzamna says, the Honduran elite was responding to a new balance of forces in following the lead of regional leaders rather than that of Washington. On May 24, the OAS Permanent Council set today as the date for a special OAS meeting to decide on the re-admission for Honduras. A two-thirds vote is required. President Rafael Correa of Ecuador opposes readmission, as do members of the FNRP leadership.